I was reading the story today that Housingwire published Fannie Mae sees light at the end of housing tunnel and I was wondering if anyone was looking into the numbers with Fannie Mae and the timing of the topic of Fannie Mae pulling back on the assets going to outsource management companies they have been using. I have received no new assets for a couple months from the outsourcers that were handling everything for Fannie Mae and at the same time I have received confirmation from a majority of REO Realtors and Brokers that they have also seen a slow down in new inventory from Fannie Mae outsourcers. They have seen them going through the Fannie Mae direct side. 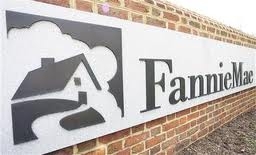 I would be interested to read any articles on this topic of Asset Management companies vs Fannie Mae direct with the numbers on sales dropping and the timing I feel that could be a part of what is going on with Fannie Mae. If anyone has anything on this please comment on this post and share them with everyone. Fannie Mae has relied for sometime on the asset management companies to evaluate and train all these agents through the outsource asset management companies and they seem to have now moved away from that model.